WOW!! Just wow. I have never come across anything like this polish before. I recently got Pox and Hematoma from her Pestilence collection. 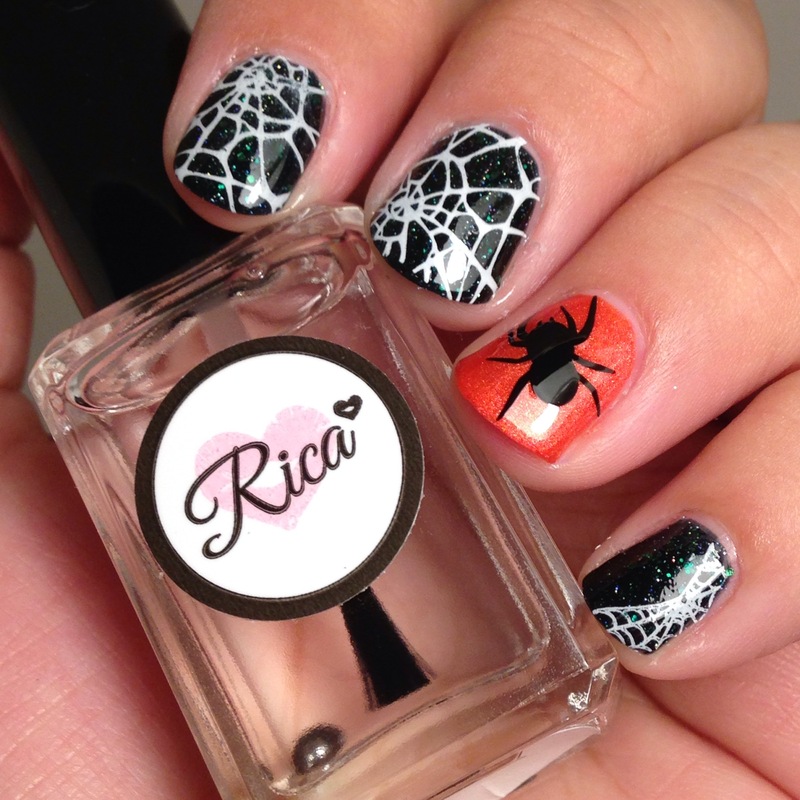 Rylee, the owner/creator of Wicked Nails is brilliant! I present you her brainchild: the creatively named Pestilence collection. This awesome collection has 8 polishes: Pox, Hematoma, Gangrene, Pink Eye, Priapism, Frostbite, Cardiac Arrest and Black Lung. Today, I chose Pox. Pox is a milky jelly with these neon pink and neon orange pieces of varied sized hexes and bright neon orange glitter. The glitter used in Pox are all translucent. I have decided to use a bright color background to make Pox pop out more. For this one, I used Face of Australia’s Easy Peasy Lemon Squeezy as the background and topped it off with two coats of Pox. Application was a breeze! I do have a tip for you readers. When dealing with this type of polish, it is for the best to allow Pox to competely dry before adding another coat. I imagine Pox would be wonderful on top of bright colored polishes. Try lime green! Pox is definitely one of my favorites now. If you’re interested in buying Pox, you can find them at Wicked Nails’ Etsy shop at: http://www.etsy.com/shop/WickedPolish Be sure to follow her on Instagram @wickednails to find out when she will have her next restock.